Being raised in Dunedin, the presence of the Cadbury factory looming large not far away down the hill made sure chocolate played a big part in my youth. Cadbury World was the Willy Wonka Chocolate Factory of my schooldays, and I visited it many times with school over the years, as I’m sure did every kid in Dunedin over the years. I recall our class getting into trouble on one visit for sewing extra pockets into our blazers to fill with chocolate! Sadly, the last of those products, Pascall’s Pineapple Lumps, rolled off the production line in March, despite efforts by owners Mondelez to find someone to continue making the full range of Kiwi products on the site. Thankfully, like the chocolate bars before them, the iconic sweets will remain on supermarket shelves, they’ll just be made in Australia. It’s ironic that the main reason for the closure is why we have a strong and growing chocolate-making industry in New Zealand. It was because 70% of the factory’s production was exported, mostly to Australia, that they decided to consolidate production there, and it’s that very market that’s behind the success of our industry. Chocolate occupies an important place on our supermarket shelves, with around 37 local brands for supermarket buyers to choose from. That’s not counting imports. The New Zealand brands range from those made by Whittaker’s, with its 100-plus staff, to artisan chocolates crafted by two-person operations, and there seem to be more of these each year. Ever since Cadbury’s predecessors, Griffins and Hudson, started producing chocolate products (along with other confectionery and biscuits) in the 1860s, and Whittaker’s was founded as our first chocolate-only maker in 1899, the industry has been growing slowly. That was until recently. Of our 37 brands, 22 have started up since 2010. Many of them have realised that to be successful they need to offer something different, and they reflect that. Our shelves now stock a most interesting range of flavours – from the likes of Kiwifruit, Mangawhai Sea Salt, Cayenne & Cinnamon, Manuka Honeycomb, and Beekeeper, to Horopito & Kawakawa, Nelson Pear & Manuka Honey, and Hibiscus Flower & Macadamia Nut, to name but a few. There’s even one called Sheep Droppings. A report last month on the industry showed what great potential there is for companies to take their products beyond our shelves and onto the world market. 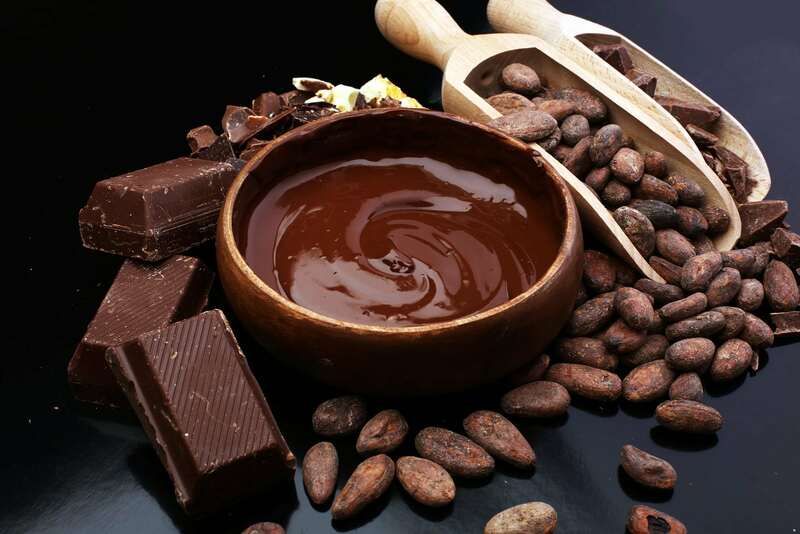 ‘Investment Opportunities in the NZ Chocolate Industry’, written by FGC member Coriolis, says consumer-ready chocolate exports were worth $81 million in 2016. Of that, mixed/bagged (eg Clusters, Scorched Almonds) accounted for $39 million, bars and blocks $22 million, and products containing other fillings (eg nuts, honeycomb) $21 million. That’s a decent chunk of export income. Like it was for Cadbury, Australia is by far the biggest market. In 2016 we sent 82% of our exports there, worth $67 million. We also sent $11 million worth to East Asia and South East Asia (includes China, Japan, Korea, Indonesia, Malaysia, Philippines), and they’re areas that the report identifies as having a lot of room to grow. It suggests companies can be successful thereby using our reputation as a country that produces premium food. Then there’s the UK and Europe, and though some of the world’s best chocolate comes from there, they still import a lot, which means there’s opportunity in that big market. The report says if our chocolate makers can achieve there what our wine and honey industries did then it could get a significant share of the market – as long as they offer unique products. By that, it means unique New Zealand flavours. Just a 2% market share in the UK would mean $35 million in export sales. A 5% share would mean $87 million. That’s almost doubling the industry’s current total exports. There’s a lot of work ahead to achieve that, but if any industry can do it then this one can. It’s just a matter of convincing overseas buyers that treats with names such as Sheep Droppings are actually not too bad.